Newlyweds Are Having Sweet Post-Wedding Photos Taken with Their Favorite Felines – Sig Nordal, Jr.
January 10, 2018 January 10, 2018 Sig Nordal, Jr. When it comes to weddings, there are many ways for a couple to personalize their special day. One approach is to feature their beloved four-legged friends in the pictures. While dogs are common, there are plenty of cat lovers who wish that they could have their favorite feline in their wedding photos. Photographer Marianna Zampieri is making this happen for lucky couples in Italy; she snaps portraits of newlyweds with their cats, incorporating formal attire with fur and whiskers. If you’re looking for cat-themed wedding photo ideas, look no further than photographer Marianna Zampieri. 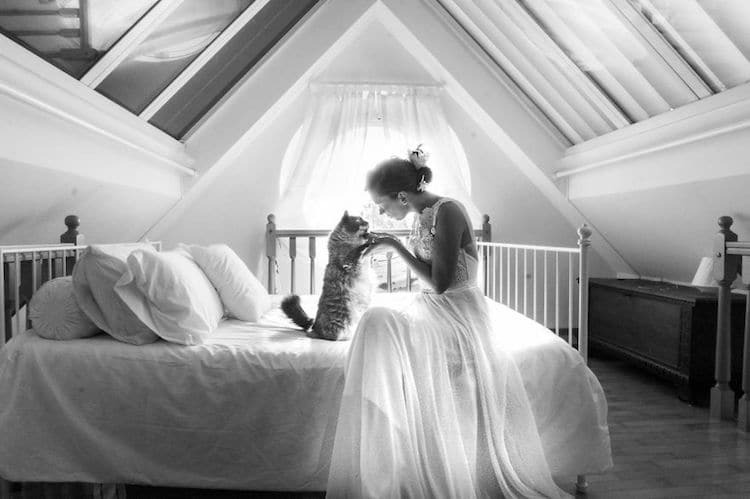 She snaps sweet photos of newlyweds (post-wedding) with their favorite felines. The results are sweet and quirky family portraits. My Modern Met granted permission to use photos by Marianna Zampieri. The post Newlyweds Are Having Sweet Post-Wedding Photos Taken with Their Favorite Felines appeared first on My Modern Met.